Tissue Tassel Garland is a party trend these days. Aside from being inexpensive, it is easy to make. 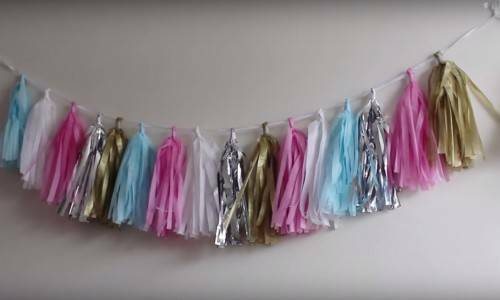 Whether you are looking for a backdrop or a simple decor, tissue tassel garland is the perfect DIY project. 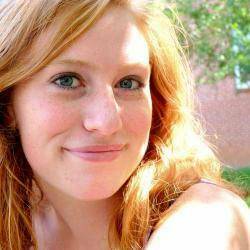 Read on to find out how you can quickly make one. 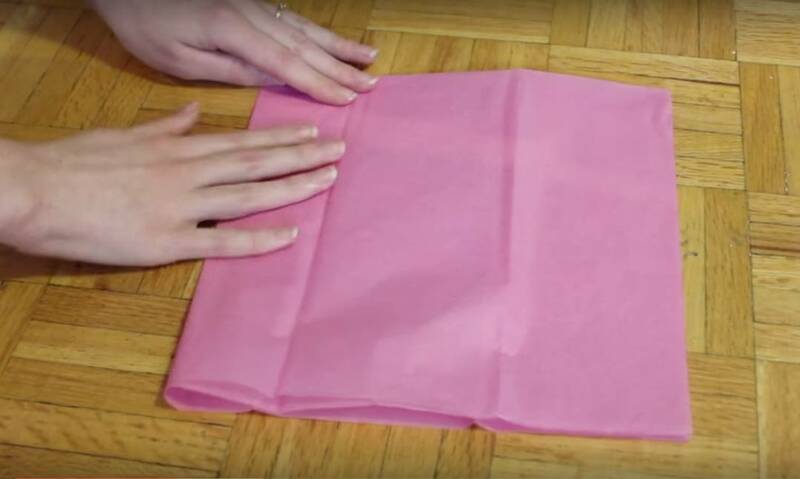 Take the tissue paper out out of its packaging and lay out the sheets. Take one sheet and fold it in half and fold it in half again. 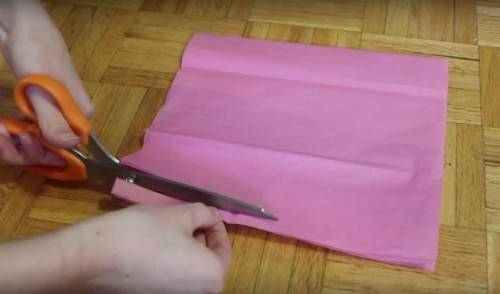 Step 1:Fold the tissue paper in half and in half again. With the folded part at the top and with the open end at the bottom, grab the scissors and make strips about half an inch wide, leaving about one and a half inch of space from the top. Once you reach the end, unfold it. Cut along the folded strip at the middle separating the two sheets. 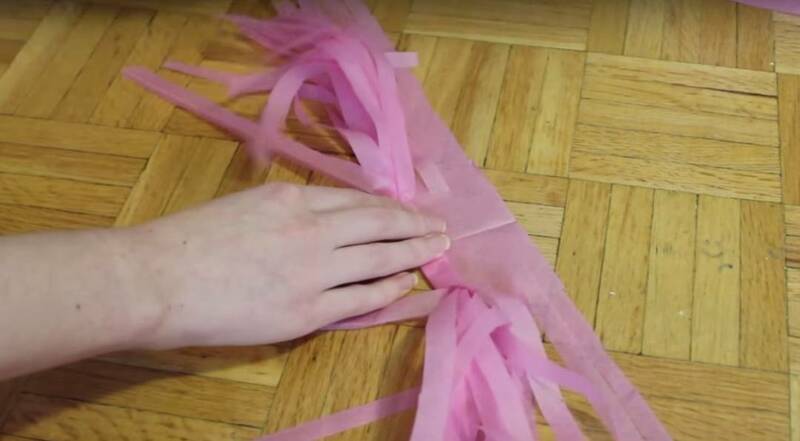 Step 2:Cut the tissue paper into strips. Now, you have two tassels. Again, unfold it and lay it flat on the surface. Using your hand, loosely roll it up along the fold, untangling the ends as you go along. Twist the middle a few times, fold it in half and twist it again to hold it in place. Repeat the steps with other tissue papers. 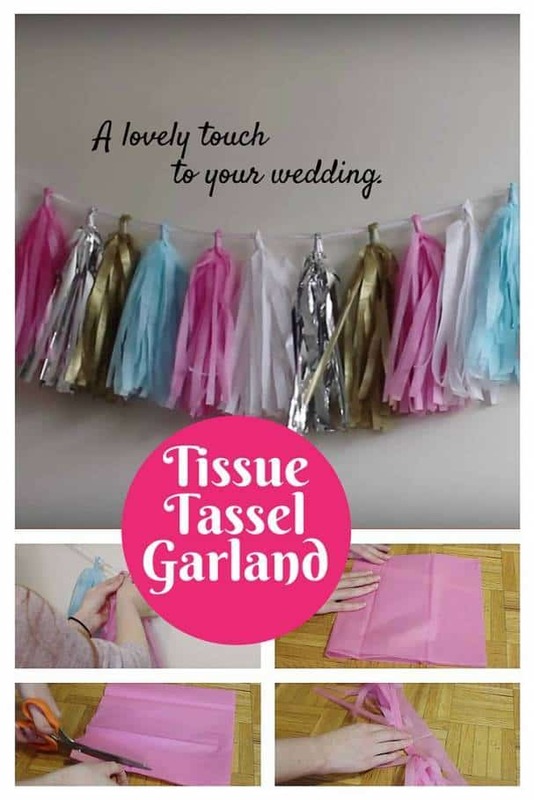 The more colors you have, the more vibrant your garland will be. Step 3:Roll up the tassel along the folded part. Now, it is time to arrange those tassels. 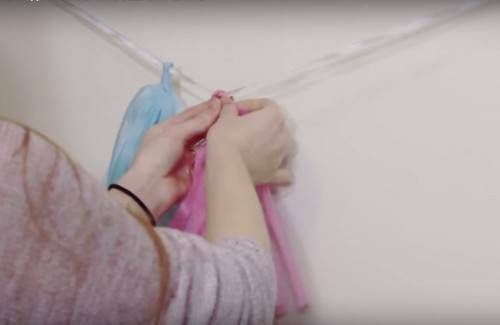 First, hang up the ribbon on your wall. Place the tassel on the ribbon and wrap a tape around it to secure it in place. Continue until you have filled the entire ribbon. Step 4:Twist the middle of the tassel and place it on the ribbon. Secure it with tape. And you are done! It is ready to beautify your reception.